With more and more advancements in technology by the day, you have numerous options of gadgets to choose from, depending on your specific needs. For example, if you are looking for a gaming computer, the variety of choices can overwhelm you. There is a gaming computer for every need and every preference. 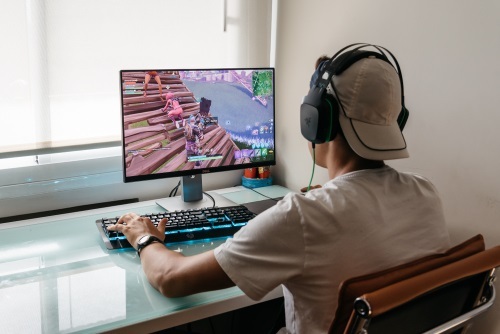 This article gives you more tips on what factors you have to consider when you are looking to purchase a gaming PC for the budget that you can afford. Before you get caught in the trap of temptation with the numerous options of gaming PCs to purchase, remember that you should still stick to whatever budget you have set aside. Therefore, it is not worth going into debt merely to afford purchasing a gaming computer. If you already have savings for it, stick to this budget. Your budget can be one of the filters for you to narrow down your options. You do not necessarily have to buy expensive gaming computers, as there are also many options for a cheap gaming PC that you can afford. There is no denying it: downloading and maintaining games take up much memory space on your device. Imagine when you download a game on your cell phone, these games are only simple ones, yet they take up so much space. For more complicated games like those you can download on your computer, these will need much more memory. Hence, when shopping for a gaming PC, do not forget to ask about the memory of the Central Processing Unit (CPU) or Processor. This part is the brain of your computer, and you will load it up with numerous games later on. For gaming, the recommended memory should be at least a 2.5GHz processor, classified as either i7 or i5. The number of expansion slots and USB ports, as you will most likely be connecting so many accessories when you are playing a game. The ideal number of expansion slots for gaming PCs should be around seven to eight. These factors are just as important as the CPU itself, as you are not just buying any other regular computer. You are purchasing a gaming computer that needs so many technical specifications. These factors will complete your gaming needs. Unlike other computers where all you do is some office work, emails, or watching videos now and then, with a gaming computer, the design and the graphics matter. Games are continually upgrading, hence you must also choose a system design that can easily be enhanced together with your games without any need of additional tools. RAM refers to Random Access Memory, and this is the part of your computer that allows you to store short-term data, with is immediately accessed with every click or request. Just like your motherboard and your CPU, the RAM of your gaming computer should also be sufficient enough for your gaming storage needs. The most important thing for you to remember is that your RAM should match the requirements of your motherboard. For gaming, it is recommended for you to keep the memory of your RAM at 16 to 32 gigabytes. Yes, the size of your computer screen does matter. Even when you are purchasing an ordinary computer for work or personal purposes, you have your own size preference in mind. The same holds true even more with gaming computers. The screen is significant as this is the very component of gaming. When choosing the size of your computer, it really all boils down to your personal preference, your eyesight, the size of your room, and desk. Other gamers prefer smaller computers, while there are others who like to go for the widest screen possible. Now that you have this list of considerations in mind, all that’s left for you to do is to head out to your trusted computer store and start shopping. Remember that you will be spending a lot of money as you purchase a gaming PC, so you have to be sure that you are choosing the right one. Whatever your personal preference is, your budget, and your needs, there is always the perfect gaming PC for you.